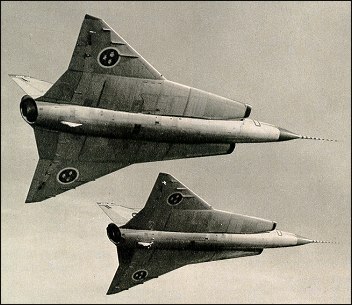 An all-weather fighter, attack and reconnaisance aircraft, the Saab Draken was a class of its own. A relatively less powerful country like Sweden had created a Mach 2 capable plane that performed well beyond many people's expectations. The unusual layout of the plane gave it a much larger wing area and this let it achieve great heights during flight!